This article was originally written and posted on Motul's website, find it here. 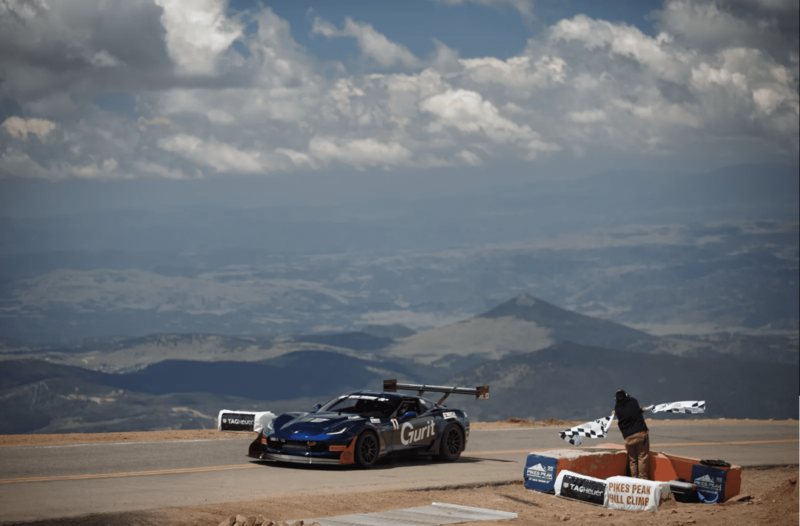 The Broadmoor Pikes Peak International Hill Climb (PPIHC), brought to you by Gran Turismo, also known as The Race to the Clouds, is an invitational automobile and motorcycle hill climb to the summit of Pikes Peak – America’s Mountain in Colorado, USA held annually on the last Sunday of June. It is the second oldest race event of the World. 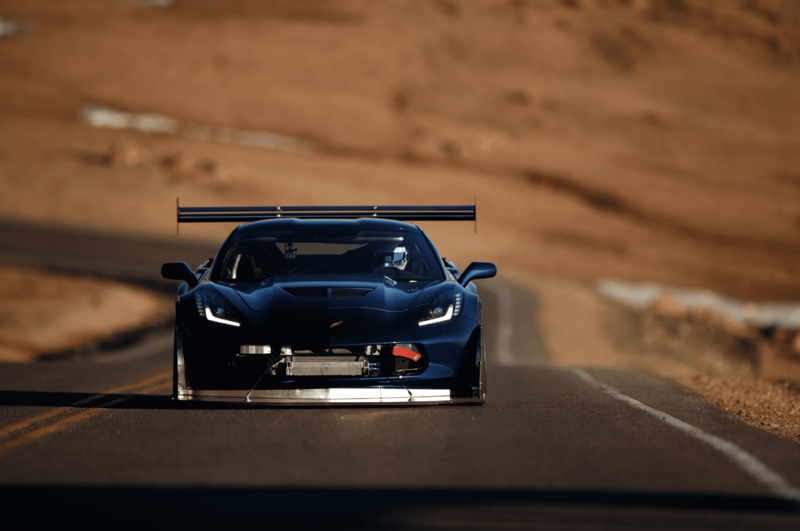 Founded in 1916 by Spencer Penrose, the Broadmoor PPIHC takes place on a 12.42-mile (19.99 km) public toll-road boasting 156 turns, while competitors climb 4,720 ft. (1,440 m.) from the 9,390 ft. (2,862 m). The Start Line is at Mile 7 marker on the Pikes Peak Highway to the 14,115 ft. (4,300 m) Finish Line at the mountain’s summit. The road remained unpaved with gravel until 2002, when asphalt came in and changed the whole racing experience. As the drivers climb toward the summit, the thin air slows reflexes and saps competitor’s mental and muscle strength in addition to robbing internal combustion engines of up to 30% of the power they are capable of at the Start Line. Competitors and vehicles must be in top shape and condition simply to finish, let alone win. 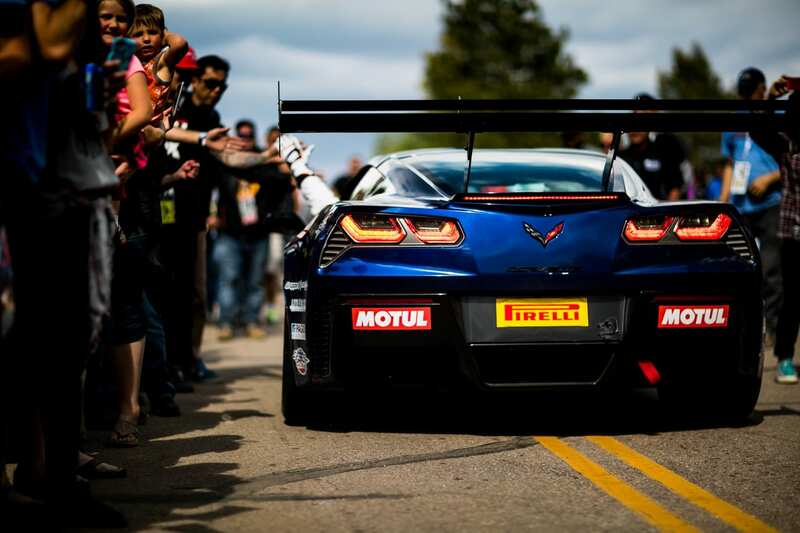 The race is self-sanctioned and is the most diverse one day motorsports event in the world. The participants are allowed to take part in cars, motorcycles and quads, and are divided into several different categories. 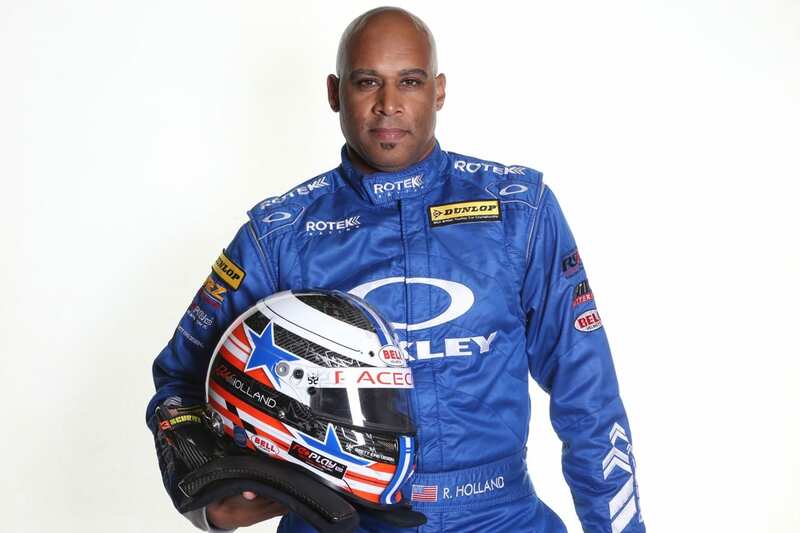 We had a talk with the team of professional race driver and former Pikes Peak record holder, Robb Holland from Rotek Racing who participated in 2017 in a Corvette Z06 and technical manager Gabe Adams who runs the VW-Audi tuning shop Bluewater Performance in Denver, Colorado. 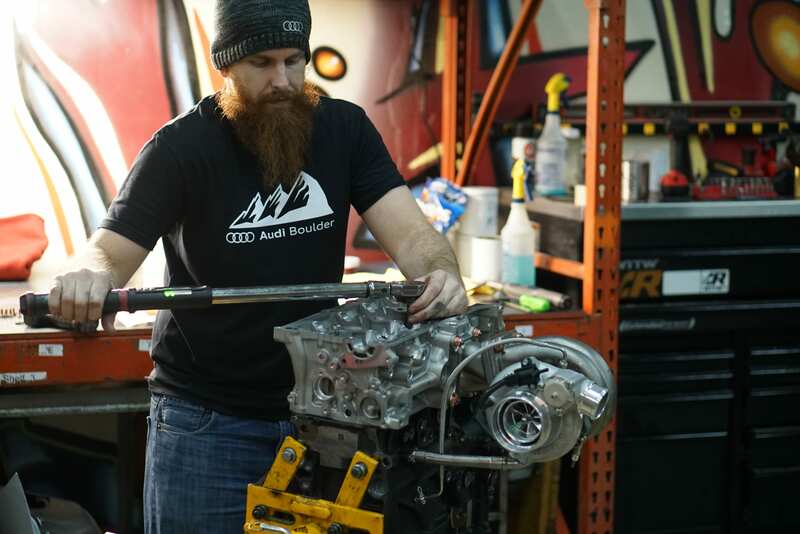 They participate this June 2019 in an extremely prepared and tuned Audi RS3, in the ‘Pikes Peak Open’ category and rely on Motul as a technical partner for their engine, brake and suspension oils. ROBB, WHAT'S YOUR LINK TO THE PIKES PEAK HILLCLIMB? I have been racing all around the world, from the Nürburgring to Australia. 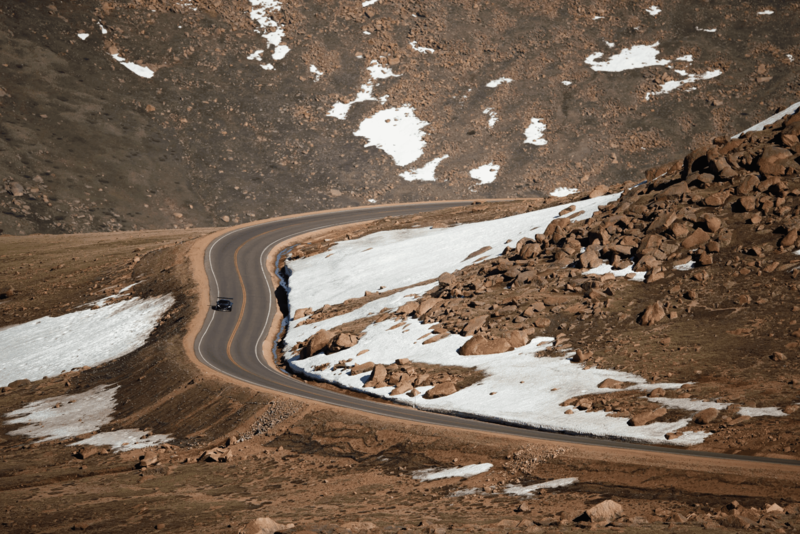 But nothing compares to the Pikes Peak Hillclimb race. It is a very demanding, challenging and atypical track. 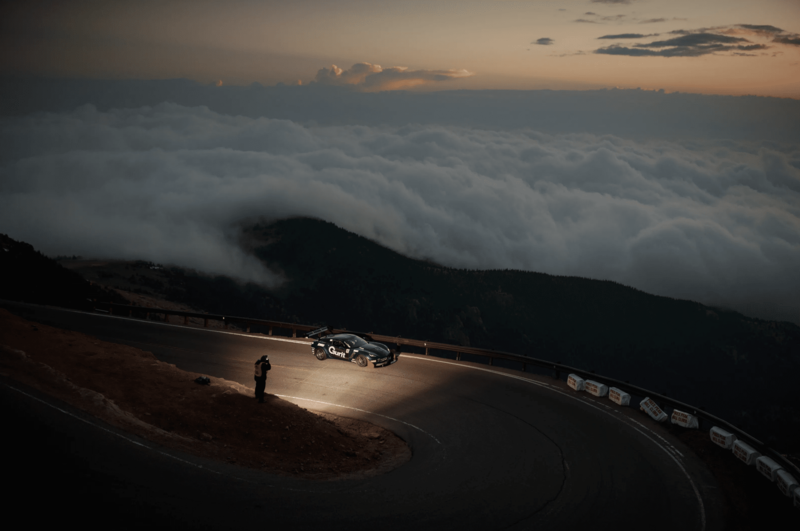 If you think you have built up some race experience you can rely on, when driving the Pikes Peak, you can mostly forget what you've been trained to do. First of all, unlike a normal racetrack, there are no safety zones; you pass steep cliffs and harsh rocks, so making a mistake is not an option. Secondly, it is a series of hairpins connected by fast straights. On the straight parts you drive up to 130 miles per hour, then brake extremely hard, take the hairpin as fast as possible and accelerate again at full throttle. That requires hard concentration of the driver and puts a very big stress on the car and its mechanical parts. GABE, THIS SOUNDS INDEED AS A VERY DEMANDING TRACK FOR MAN AND MACHINE? IT MUST BE QUITE A CHALLENGE ON A TECHNICAL POINT OF VIEW? Yes, it certainly is. The altitude is affecting the overall performance, as the air gets thinner when driving up the hill at this altitude; it affects both man and machine. Rob is a trained athlete, but most drivers have a bottle of oxygen on board to breath properly during the last high miles. The performance of the engine is also affected; the car loses up to 30% of the horsepower and experiences a decreased cooling capacity because of the thin air. That also causes engine temperatures and braking fluid temperatures to rise way above a normal level, and that's where Motul's racing experience comes in. The engine oil keeps on lubricating the parts and the brake fluids holds the stopping power at the level we need even under this extreme pressure. In our tuning shop we only use the Motul lubricants, which is for all our builds by the way. WHAT CAR DO YOU COMPETE IN? ROBB, ARE YOU REACHING FOR A PODIUM PLACE? Absolutely! Even more, we are aiming for the Pikes Peak record in our category! It has been set last year by the Honda Acura Factory team last year. But in 2019 we definitely want to break the record and mark our name on it. Factory team or not! GABE, HOW DID THIS IDEA ORIGINATE? I actually abandoned a previous chase for a land speed record, namely the Salt Lake speed record in Bonneville. I had a Volkswagen Golf all-wheel-drive tuned up to a 1.000 hp. We ended at an honorable speed of 236 mile / hour. But when Robb and I met, we felt the Pikes Peak was even a bigger challenge. We both felt the urge to tackle this Mountain. Robb has the appropriate racing experience, while I master the technical skills to build the proper racecar he can rely on. ROBB, HOW DO YOU TRAIN FOR THIS CIRCUIT? Good question. Besides some track exploration, learning curves and searching for braking points, training is very limited. This is a National Park, so there is no practicing allowed other than the week of Pikes Peak. It is quite a situation. Our training schedule goes as follows: we get up at 3AM, be present at the start at 4.30AM, practice starts at 5AM and ends at 8AM. At that time, they reopen the road for public use. What makes it even more difficult, during the night temperatures drop between 0 en 2° Celsius, so our tire setup during training is different from our race-setup where we face 13-14° Celsius. But the race is so unique and has breathtaking views. WHAT IS THE 2018 RECORD YOU MUST BEAT IN 2019? We would have to make a run to break the Front Wheel Drive record of 10:48.094 held by Nick Robinson in his 2018 Acura TLX A-Spec. That's our mission!